As the released date of the upcoming film Hichki fast approaches, the makers have unveiled a song with the title Khol De Par. The song has sent out a message that encourages to take up risks in life and not to worry about judgements and social pressures. 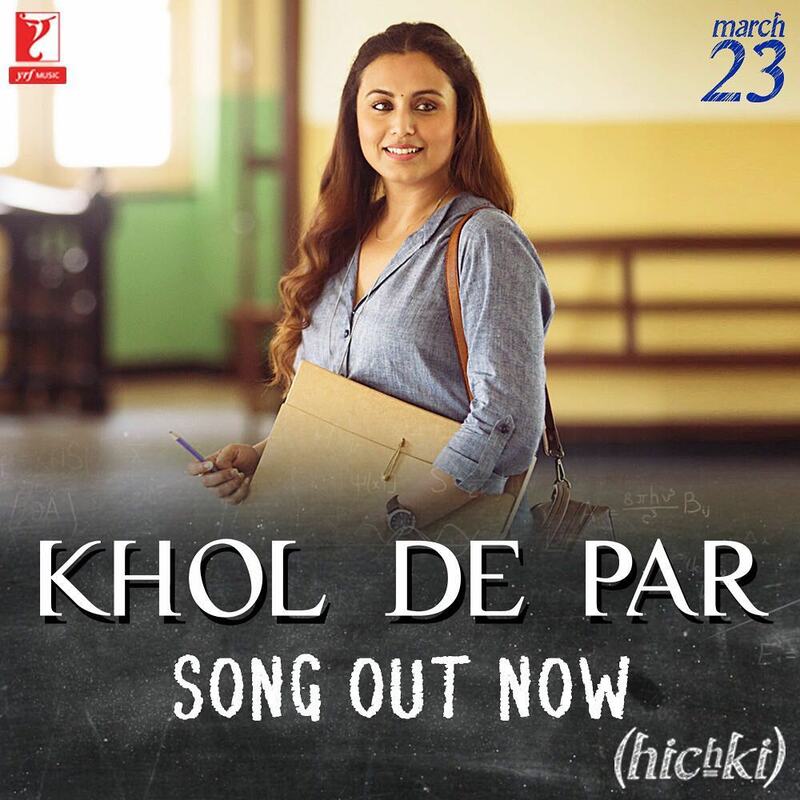 Rani Mukerji in the song can be seen making a great bond with her students in the school, while she finds new ways to educate the children. The actress, who plays the role of a teacher Naina Mathur can be seen teaching the students various aspects of life and science. The song is crooned by Arijit Singh and is composed by Jasleen Royal, while the lyrics have been penned by Raj Shekhar. Rani in the film suffers from a condition known as the Tourette syndrome. The character of Naina Mathur has a challenge to educate a group of municipal students, who no one wants to teach. Naina takes up the challenge and comes out with flying colors after struggling a few times. The upcoming film is directed by Sidharth P Malhotra and produced by Maneesh Sharma and Aditya Chopra. Hichki was earlier expected to be released on February 23, 2018 but the release date was postponed by a month to March 23, 2018 due to board exams.